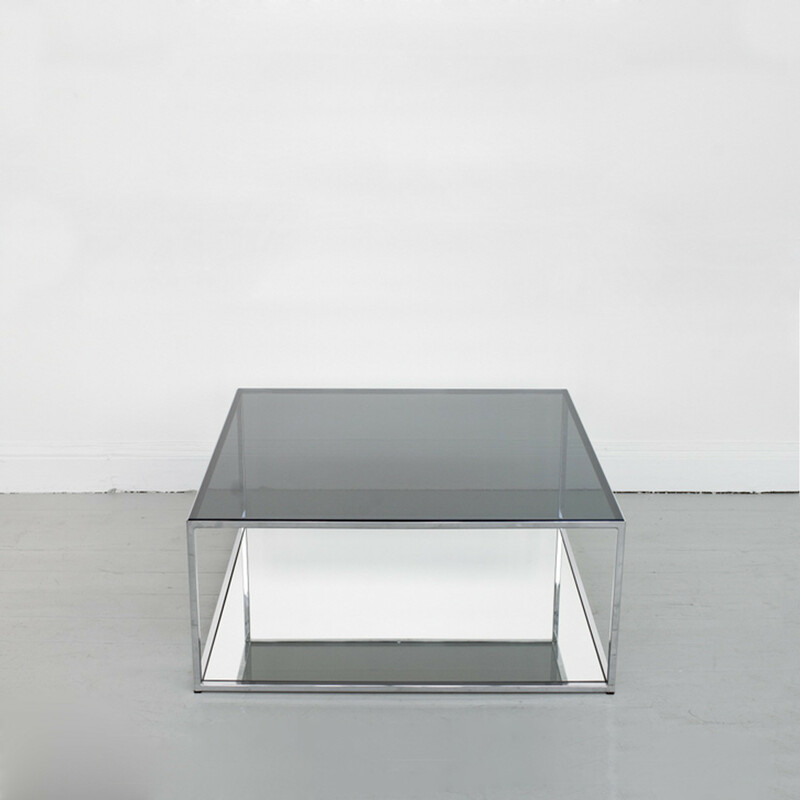 Vertigo Coffee Table owes its name to the illusion of a bottomless depth if the person looks down into the upper tabletop; the false impression is created through a top of double reflecting glass. 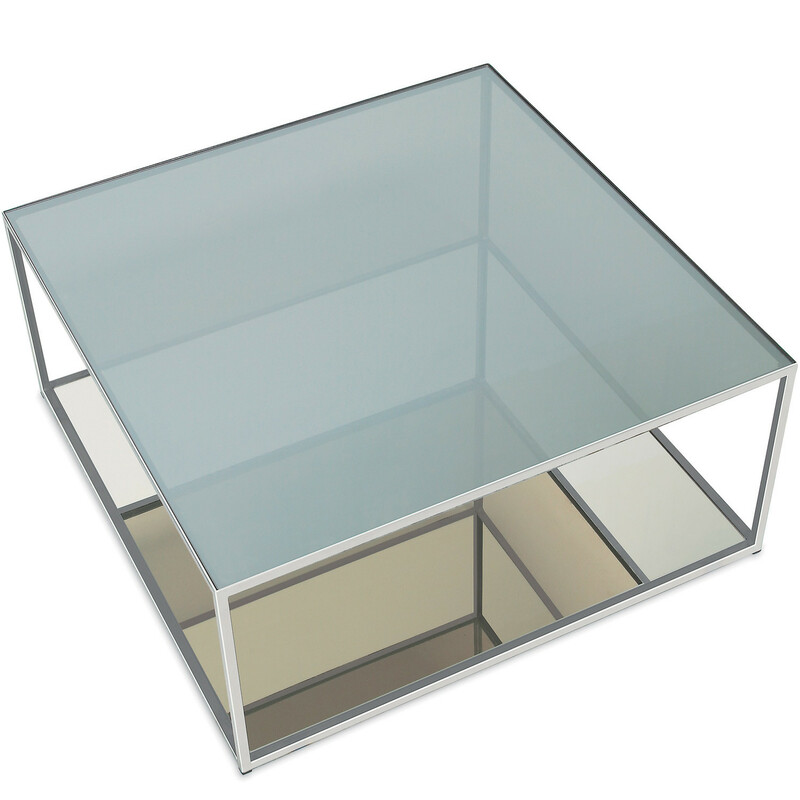 The sharp square edges and shiny surfaces are suitable to contemporary receptions, waiting areas, informal meeting spaces and domestic living surroundings. 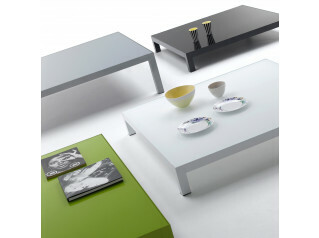 Vertigo Coffee Table is provided with a bottom shelf ideal for magazines books and newspapers. 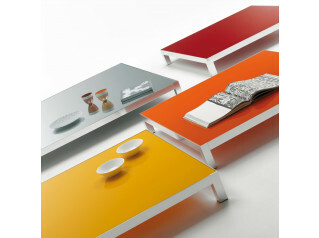 When placing objects on the mirror the reflections create an infinite number of framings. 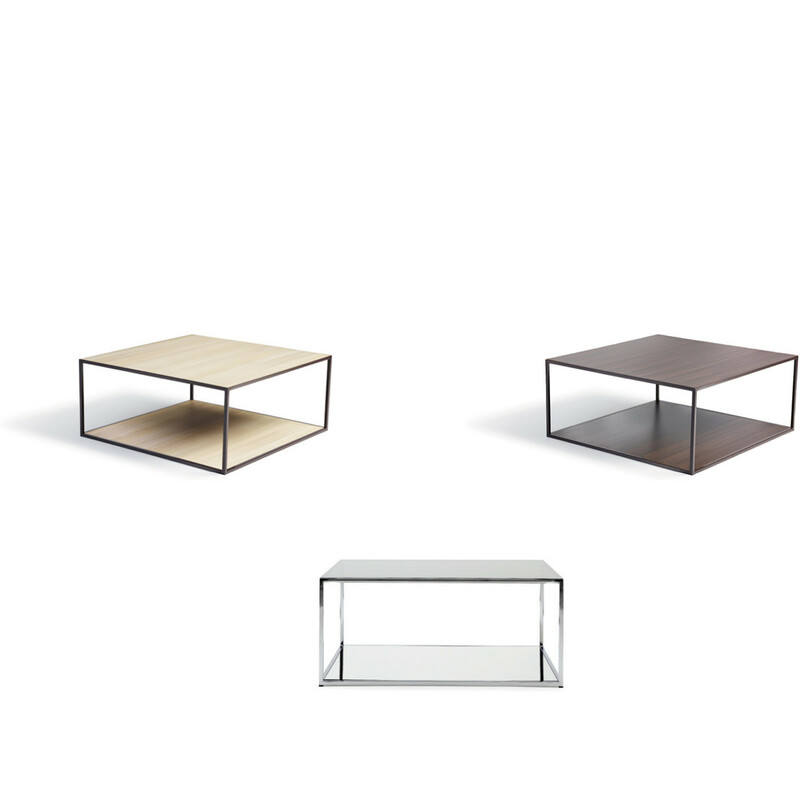 Vertigo Low Tables consist of a chromed frame supporting the two glass tabletops; the top shelf is made of spy glass and the bottom shelf is a mirror glass, a version with reversible tabletops is available with the first side in white pigmented oak laminate Formica F1079 and the second with Wenge laminate ABET 313, with brown lacquer frame. 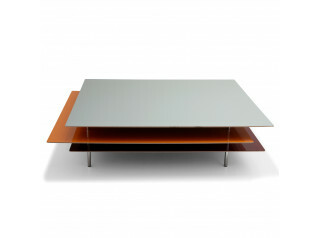 You are requesting a price for the "Vertigo Coffee Table"
To create a new project and add "Vertigo Coffee Table" to it please click the button below. 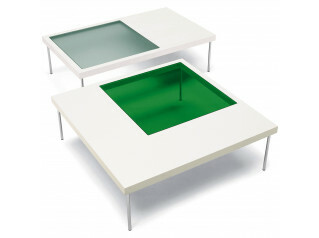 To add "Vertigo Coffee Table" to an existing project please select below.